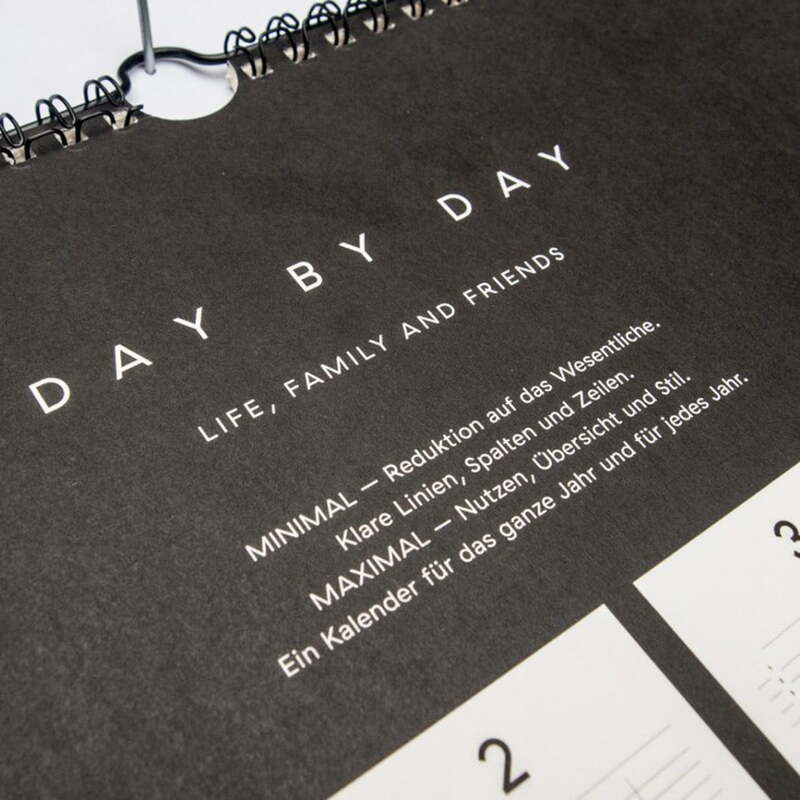 Minimal design – maximal utility: The wall calendar by Maven is versatile because of its reduction to the essence. 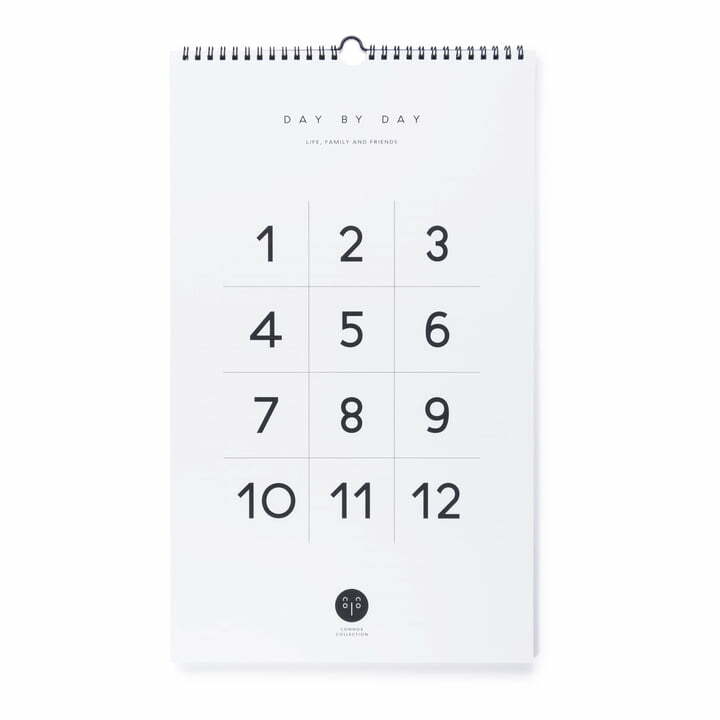 Clear outlines and numbers are everything this minimal calendar needs in order to improve the organization of life. 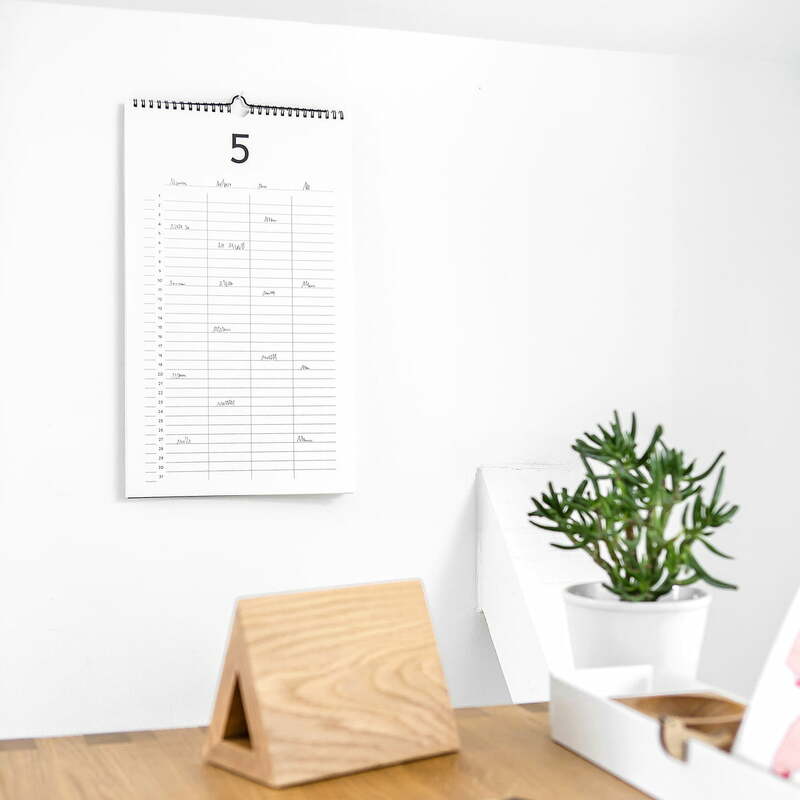 The Maven wall calendar was made for the whole year – for every year. 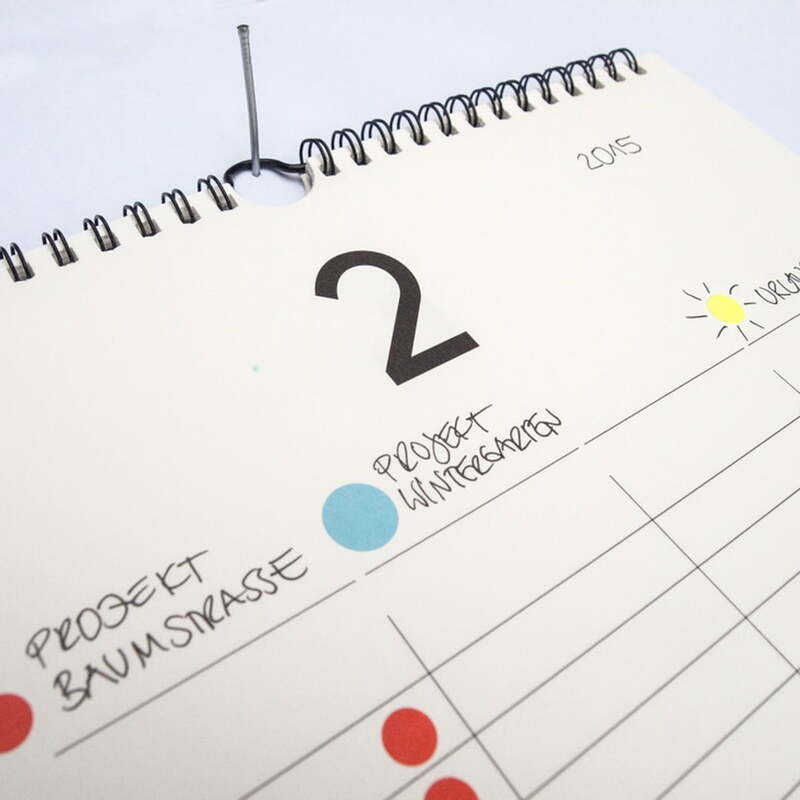 The dates of the planner aren't emphasized, which is the reason why it is a perpetual, never-ending calendar. 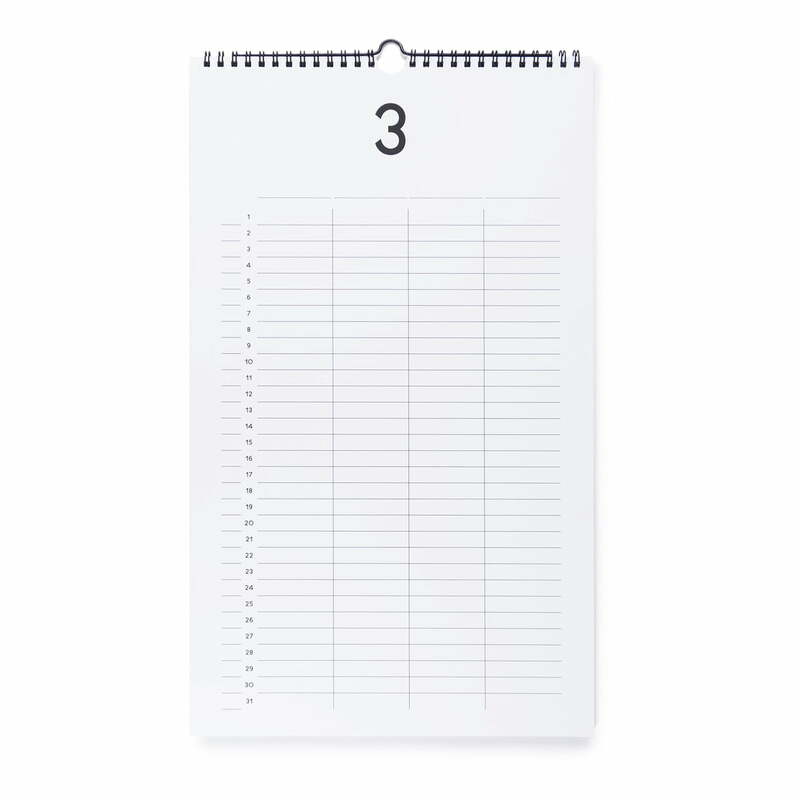 If you add the according dates with your handwriting, it will become an individual calendar, uniquely for you. 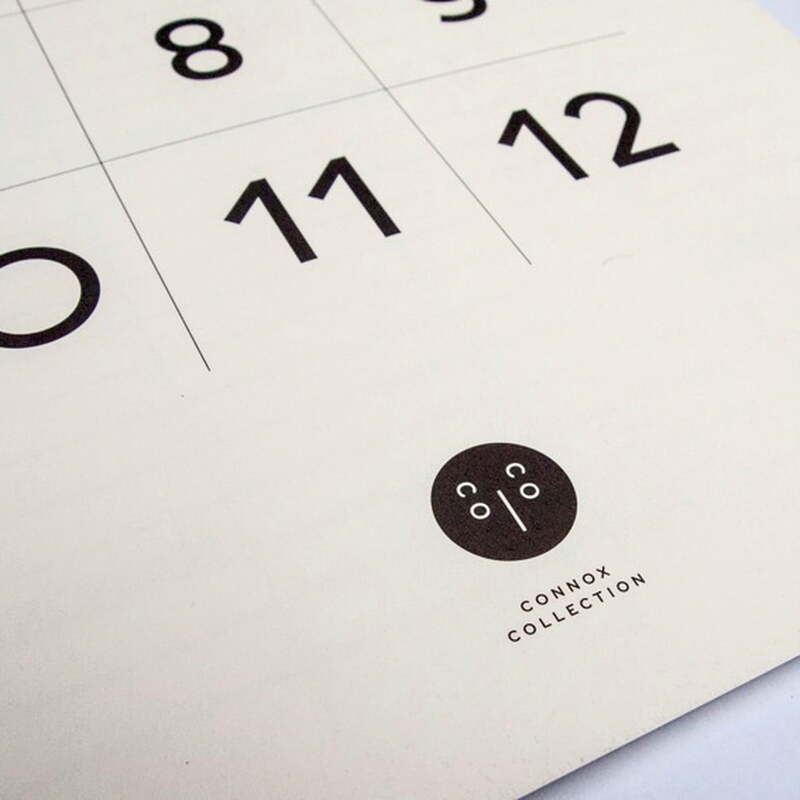 The twelve months of the exclusive calendar of the Connox Collection are divided into two columns, where dates for family members, friends, office colleagues and other teams can be coordinated. 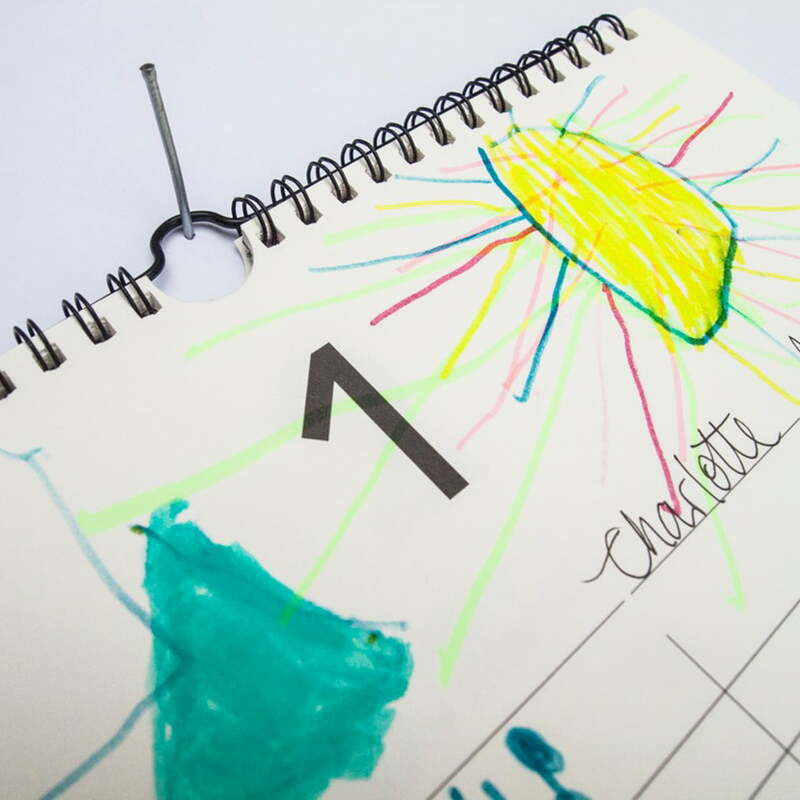 The annual calendar can also be used as an original centenarian calendar with returning dates on it forever. 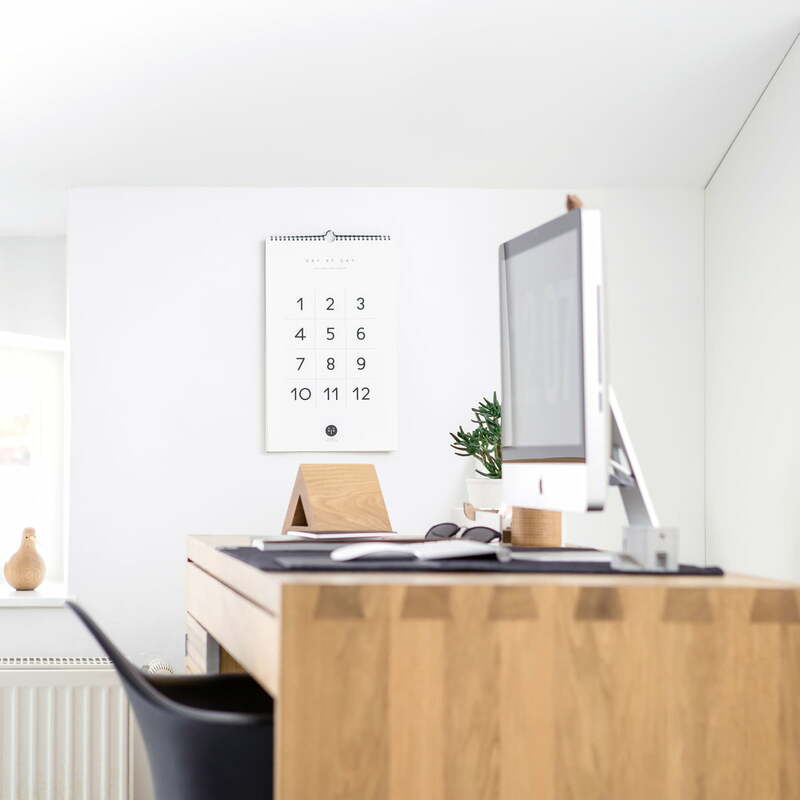 Minimalists are delighted about the straight-lined design without unnecessary details. 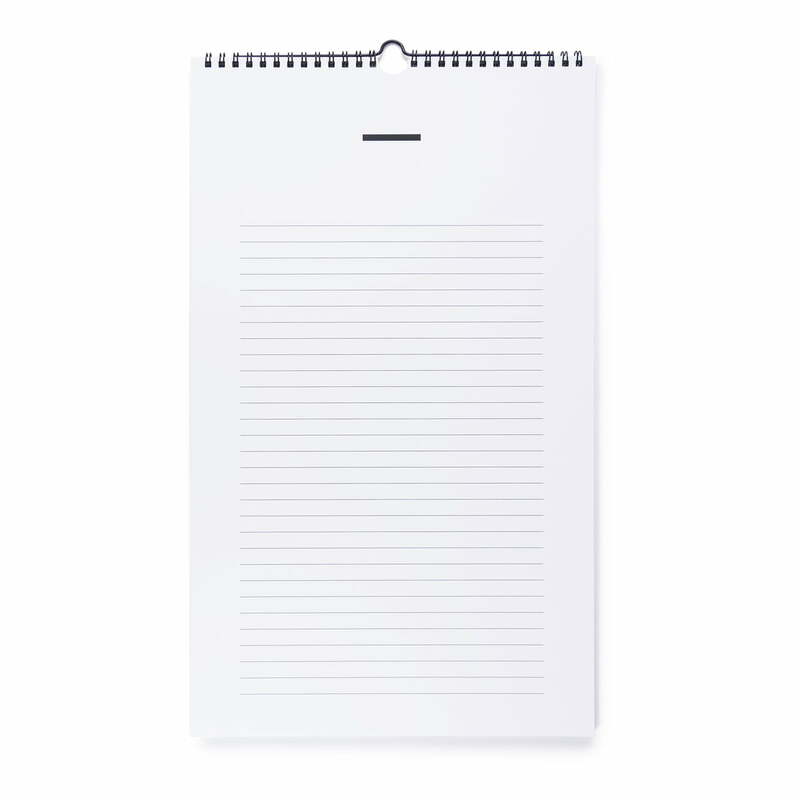 The sophisticated, writers-friendly paper and the concise numbers ensure a strong design character, also for plain dates. 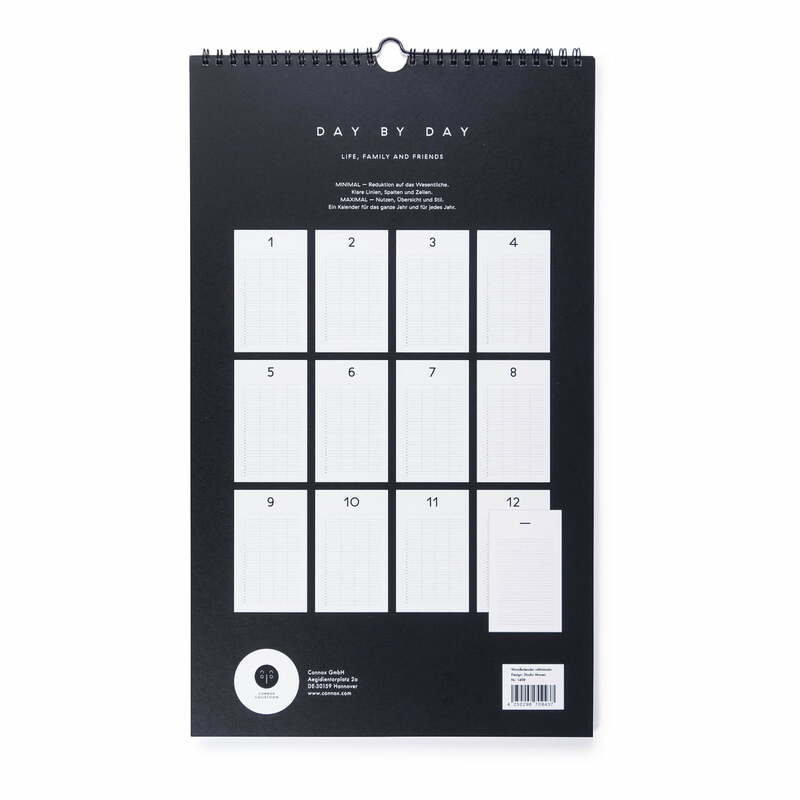 The calendar is a screen for creative illustrators. Illustrations, pictures or colorful paintings of children – that’s what you are decorating your wall with or what you are offering to the ones you love. 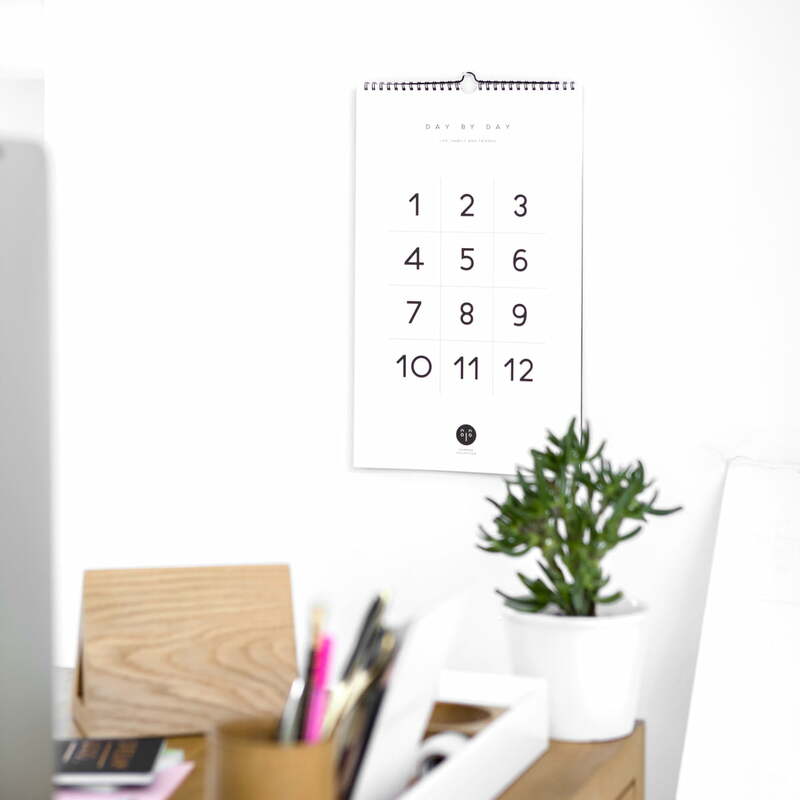 The designers of Studio Maven designed their wall calendar with special paper basing on their expertise for print products: Metapaper extra-rough is a super rough natural paper for high demands regarding touch, printability, and opacity developed by the University of Yale. This heavy, porous and uncoated paper is FSC-certified, of course, and it is produced in climate-neutral with ecological electricity in Germany.